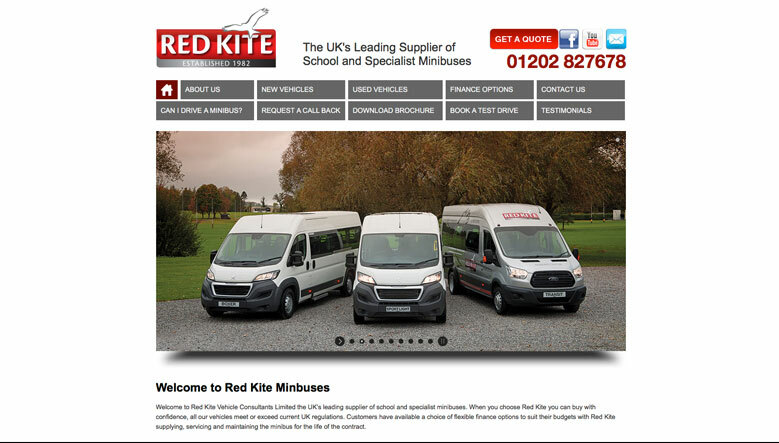 Established in 1982, Red Kite Vehicle Consultants Limited are the UK’s leading manufacturer and supplier of school and specialist minibuses. An industry innovator providing custom built new and pre-owned 9 to 18 minibuses for both the private and local government sectors including specialist accessible mobility and utility vehicles. Status: Ongoing the site provides an information platform for products and services, a comprehensive, up to date lists of used stock plus video and blog feed for Facebook and Twitter with client access for expansion and amends as and when required.